Standard edition of this is currently £26.99 on Cdkeys.com for Xbox and PC. I got the Maserati FE, And im not overly impressed, I still prefer the Nissan GTLM FE and the Lamborghini FE. Ive got 29M cr left and im thinking that Edinburgh castle will be a bit of a waste, so i might hold off until the the isle of skye dlc on 13th. There a still a few cars i want to buy (Warthog, Ferrari FXXK, nissan GT, Mclaren F1GT), and the only exclusive car ive not got is the aventador 750, but there are no races left to race them in. Forza Horizon 4 DLC trailer. If i was being cynical, Id say that fortune island looks like a piece of the original game they broke off to release as DLC. Looks simple enough. For most of them, anyway. Also interesting to see Seasonal Championships and Stories are a thing in these expansions. Thought they'd be locked to the main game. Fortune Island will be out at 6pm today. 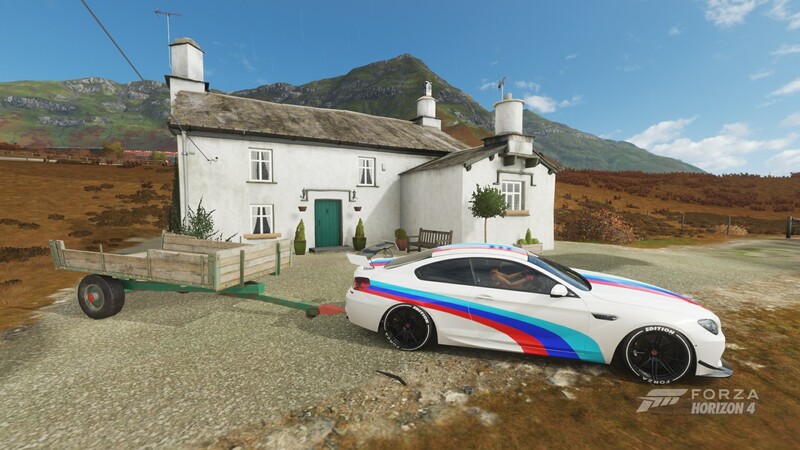 PostRe: Forza Horizon 4 (XB1/Win10) - A Game For All Seasons. Fortune Island DLC out today at 6pm!! I'm certainly enjoying the Forza games on XB1X. I bought Forza 5, 6 and Horizon 3 on disk from CEX at knock-down prices and got Forza 7 and Horizon 4 as pack-ins with my XB1X. Racing sim overload. 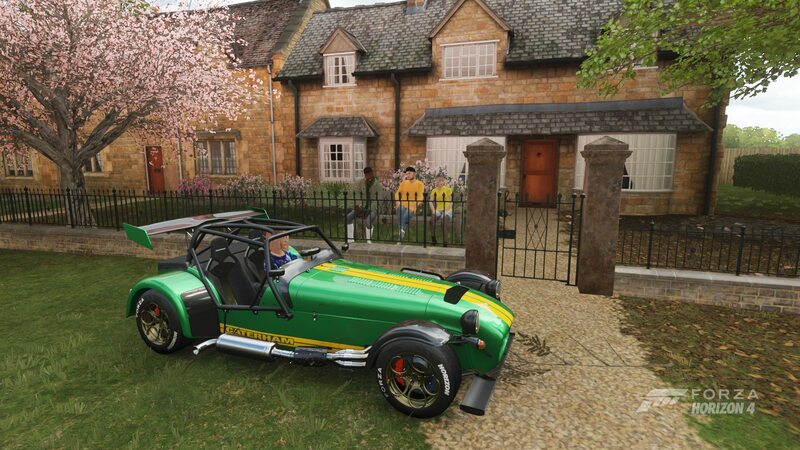 Cal wrote: I'm certainly enjoying the Forza games on XB1X. I bought Forza 5, 6 and Horizon 3 on disk from CEX at knock-down prices and got Forza 7 and Horizon 4 as pack-ins with my XB1X. Racing sim overload. I now have every house in the game. Or at least I thought I did. I'm missing the one in the middle of the forest. But that's as easy as driving over there and buying it, then it's onto Fortune Island. I'm missing 6 roads and for the life of me I can't see them. 'Cus they're tiny dead-end dirt roads, probably, that looks like they've been counted but a second drive up them will reveal they aren't. The last road i was missing was a jump in mudkickers - try around there. 8GB + 3GB update for me. DarkRula wrote: 'Cus they're tiny dead-end dirt roads, probably, that looks like they've been counted but a second drive up them will reveal they aren't. Just got one when I was plowing through trees nowhere near roads or trails lol. 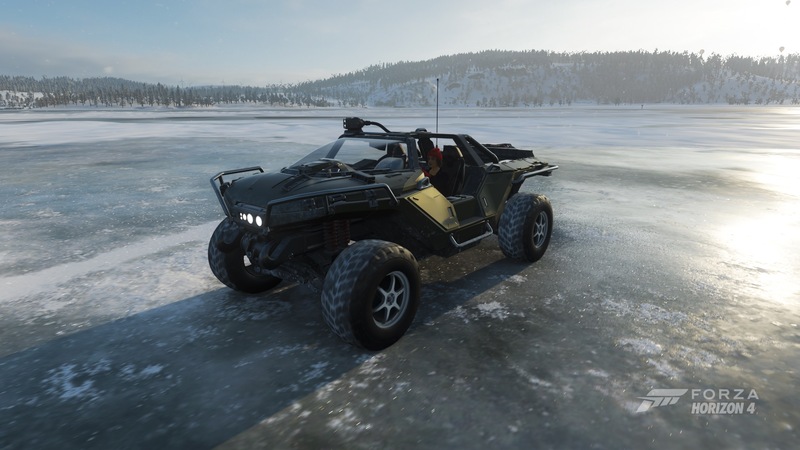 PostRe: Forza Horizon 4 (XB1/Win10) - A Game For All Seasons. 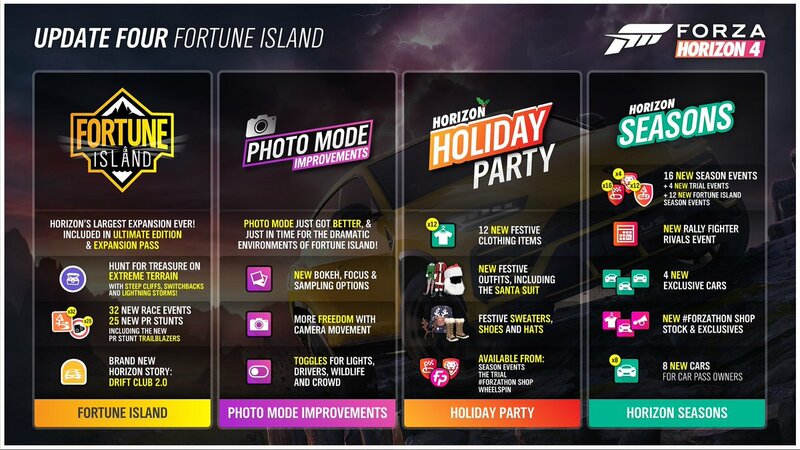 Fortune Island DLC out now!! Game is updating. Near 7GB for the 1X version. Really glad I had to download the full 7.5GB update last night, even though I've not bought the DLC. "I'll just have a quick blast on Forza before bed"
New location terrain with "the largest paved mountain switchback road in Forza Horizon history"
Improved Horizon Life Multiplayer Event Sign-Up - When you create a Multiplayer Event, you can post it to the Activity Panel and return to Freeroam while you wait for players to sign up and join. The previous 40-second limit has been removed, and now you can wait for as long as you like for players to join before you start the session. 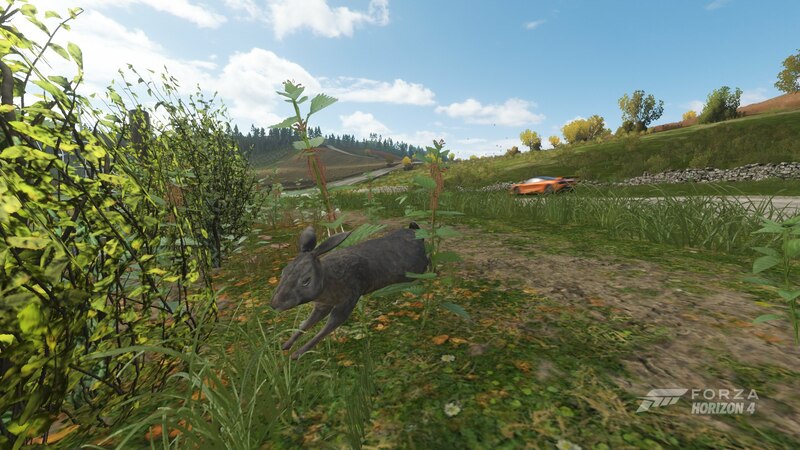 Improved Photo Mode - We've added more freedom to how you can move and pan the camera, along with bokeh effects and the ability to toggle headlights, drivers, wildlife and crowd characters! Emotes can now occasionally be found for purchase in the #Forzathon shop. Improved visibility of driving line on mini-map in various colorblind modes. Added messaging to inform players that Cars and Credits must be claimed from the Auction House within 60 days. Added an LSP error message to make users aware they need an update to the game. Seasonal Event names are now shown on the map, making them easier to find. Made a change to allow users who use manual gears to view the map during Route Creation. Fixed an exploit in Route Creator which allowed players to create routes to easily gain a large number of skill points. Fixed an exploit in Rivals which allowed players to use cars that did not meet the event restrictions. Fixed an issue where players who flipped cars, or missed checkpoints were not being reset in Ranked Adventure. Fixed an issue where players could not remove glasses in the Character Customizer. Fixed an issue where players could sometimes get stuck in a Car Mastery Tree, and be unable to navigate from their current tile. Fixed an issue where players were occasionally being teleported to their last created Route Blueprint after a Seasonal Championship. Fixed an issue where benchmark mode for Nvidia cards would sometimes show performance degradation when there was none. Fixed an issue where the latest Windows 10 OS was causing a crash when entering speed zones. Improved non-standard functions that have been mapped to a controller. Fixed extreme sudden movements to wheels during initialization. Fixed the grinding noise in cockpit view when shifting with the Logitech G920. 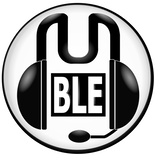 Fixed the deadzones settings functionality for Throttle, Brake, Clutch and Steering. Added UI to make it clearer which way to turn the wheel when mapping a Steering Wheel. Fortune Island's fun. Drove around in my Mini exploring, getting all the roads, beauty spots, and locations recorded, then set about doing the PR stunts and moving up the Island Conqueror challenge. Trailblazers are an interesting addition to the PR stunts that I wouldn't mind if they made their way over to the main game. Overall, a very good expansion.